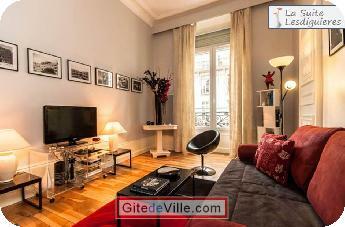 Vacation Rentals - Holiday Rental ads in the city of Grenoble in France for Tourism. 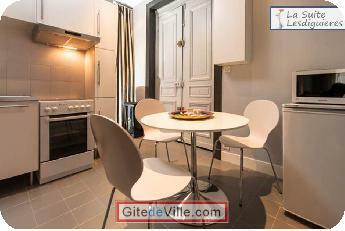 Self Catering Vacation Rental of 42 m² in Grenoble for 4 peoples. Tarifs sur la base de 2 personnes. 10€ aditionnels par jour et par personne au delà de 2 personnes. Acompte de 30% à la réservation. Solde à l'arrivée avec le versement d'une caution de 250€. 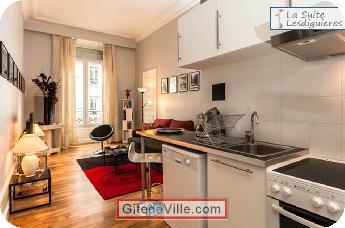 Apartment with character in a late XIXth century building for 1 or 2 persons. 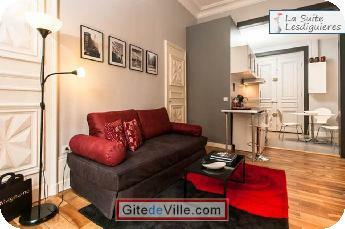 Enjoy your stay in this apartment with character in an authentic Haussmann building ideally located in the very city centre of Grenoble, the capital of the Alps, in the residential area of the Prefecture. The recent renovation (2011) and the carefully decorated living areas will contribute to your well-being in the 42 square meters/400 square feet of the Lesdiguieres Suite. 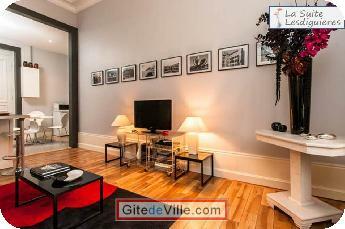 Situated on the 2nd floor with a lift, this very bright and spacious apartment is nicely furnished and decorated. The double-glazed windows have good exposure, thus allowing you to enjoy the sunshine until the end of the day. You will be fascinated by the tranquillity of this place. The exceptional location of Grenoble will give you quick access to the numerous winter sports stations in Isere and Savoie during winter time; the very first ski station being only 44 min away. In summertime, marvellous lakes and attractions are easily reachable. The Lesdiguieres Suite is close to the Prefecture of Isere, in a residential area near the shopping streets of Grenoble (well-known for gastronomic products). Restaurants, boutiques and cinemas are also nearby. 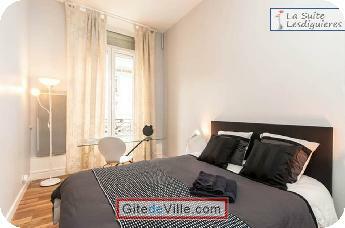 This guest apartment is very well-connected with public transports; the junctions of the city transport network being located between 100 and 350 m away by foot. Last Ads update : 01/16/2014. 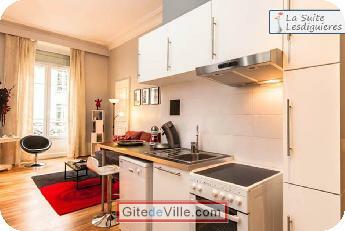 Owner of an urban accomodation or B&B to rent in Grenoble ?